Last year I visited my family in Houston and while I was there I had my first taste of Baked Potato Dip. 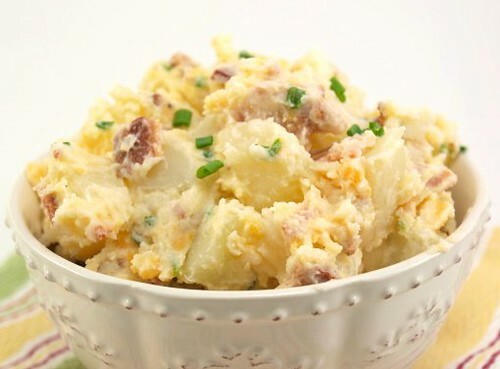 It is a concoction of sour cream, mayonnaise, bacon bits, green onions, and cheddar cheese which is served with salty potato chips. 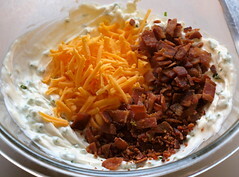 Overall the dip is pretty tasty and I have made something similar at home, with fresh cooked bacon in place of the bits, and everyone who has tasted it enjoyed it. Now, let’s fast forward to the present. 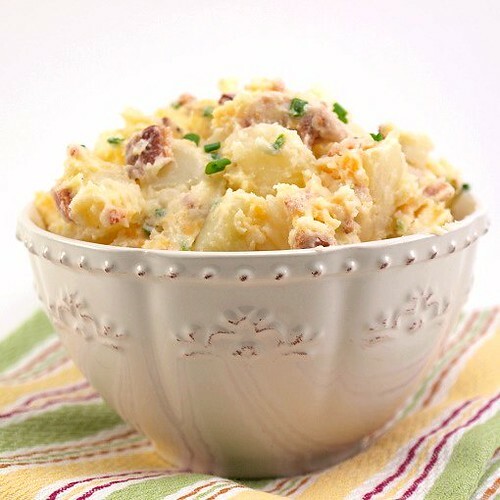 My husband and I decided to smoke a pork shoulder and, for me anyway, nothing goes better with smoked meats than potato salad. 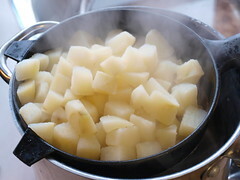 As I was peeling the potatoes inspiration struck. 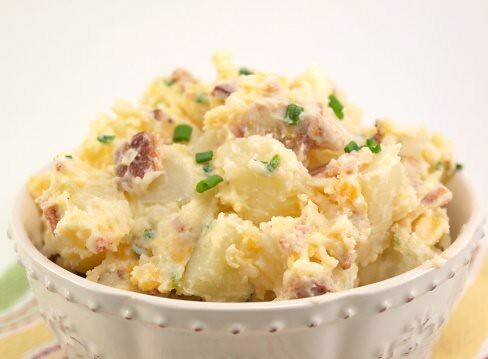 Why not use the baked potato dip in a potato salad? Why not indeed. So, I cooked some bacon, chopped some chives (which I used in place of the green onions because they have a milder flavor and a more vibrant green color), and shredded some extra sharp cheddar cheese. 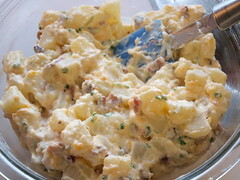 You can serve this potato salad slightly warm, but I prefer it chilled so the flavors can develop. 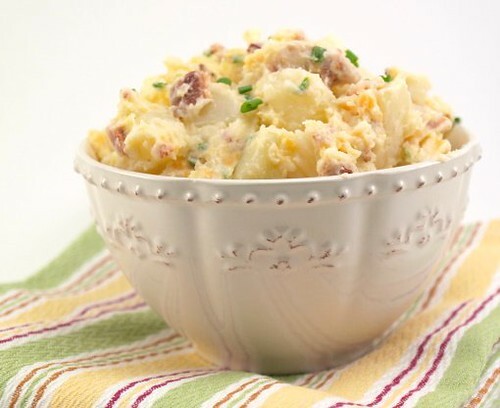 If you like bacon, cheese, or baked potatoes you really must try this! 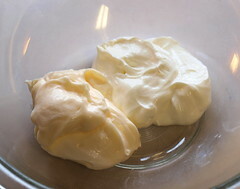 In a medium bowl whisk together the mayonnaise and sour cream until well mixed. 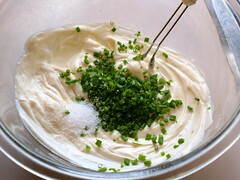 Add 3/4 of the chopped chives, salt, and pepper. Whisk to mix. Fold in the cheese and bacon. Cover and chill for thirty minutes.